This week, on our weekly news roundup: numerous sources mention that the Samsung Galaxy S10 will come with some a small hole in its screen instead of a notch, more Pixel 3 bugs coming in, and more! Huawei Mate 20 has the best battery life? PhoneArena regularly benchmarks various devices for an easy comparison. Of course, benchmarks don’t always replicate real-life usage – especially when some manufacturers cheat on them. However, they can still prove useful in certain cases – like this one. According to PhoneArena, after benchmarking the battery life of the Mate 20, it turned out that it offers the biggest battery life compared to the other flagships. As a point of reference, the Note 9 which also has a huge battery managed to get almost 9 hours of usage while the Mate 20 got 14 and a half. So, at this moment, if you’re looking for the flagship that will offer you the biggest battery life, then the Mate 20 is probably the right choice for you. And with that being said, let’s not forget that the Mate 20 can charge relatively fast at about 1 hour and 40 minutes. If you consider that you can charge your phone in less than 2 hours and not plug it in again for 2 days, then the Mate 20 truly seems like a great option. We can’t help but think that it’s slightly weird, though. The Mate 20 has about the same battery with the Note 9 but it performs significantly better. Why would that be? Our best guess is that the software and the power-efficient LCD display are the main factors that help the Mate 20 last longer than the other devices. What do you think about this? Let us know in the comments down below! Last week, we saw Samsung showcasing their new screen designs. Two of those look just like different notch designs which made us and pretty much everyone assume that Samsung may indeed start following the notch trend. However, the other two designs seem very unique, to say the least. One of them looks like a small hole on the display where the camera is placed and the last one is fully bezel-less with seemingly nothing to house the camera. Numerous rumors around the web are now saying that the upcoming Samsung Galaxy S10 will have the Infinity-O display. As you can see in the image above, it looks like some sort of hole – a circular housing for the camera. If that’s true, Samsung may not actually adopt the notch trend. But, to be honest, the Infinity-O design isn’t all that much of a different idea. We’re actually hoping that the S10 will manage to be the first phone that will have the camera hidden under the display. That would be awesome and compared to other bezel-less designs, we think that this one would be the best of them all. With that being said, what do you think? Do you prefer the Infinity-O design over the traditional notch? Maybe alternative styles like sliding mechanisms and dual screen phones? Or would you rather have the traditional screen of the Note 9? Do let us know in the comments section down below! As of writing this article, the Pixel 3 and Pixel 3 XL are Google’s latest smartphones. While many people love their rather simplistic design and stock OS, it somehow turns out that they are full of bugs and issues. At least for the past 2-3 weeks or so, we’ve been watching people comment on problems that they are experiencing with their device. And it’s not like there are only one or two problems. 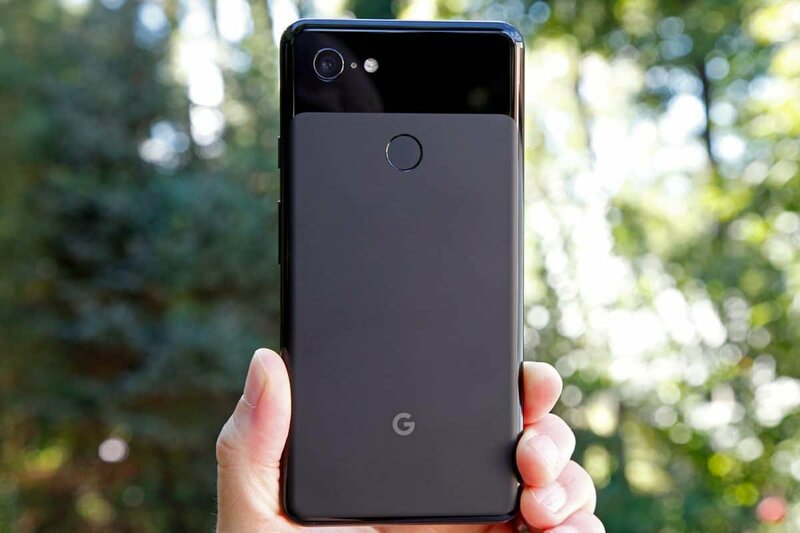 When it comes to the Pixel 3/XL, users have experienced issues with their camera, speakers, microphone, display, notch, RAM, freezing, overheating, battery life, and more. As if that wasn’t enough, we recently noticed that one more bug came up which deletes your messages. It happened almost right after the latest update. So, there is a chance that this update is the one to blame. If you own a Google Pixel 3 and you’re now experiencing this, then your best bet is to install a 3rd party messaging app from the Google Play Store. Other than that, your best bet is to wait until another update fixes this issue. The Samsung Galaxy A9 is the world’s first quad-camera smartphone. It offers all the camera goodies that you can get in one package. Those are optical zoom, wide lens, and a depth sensor. 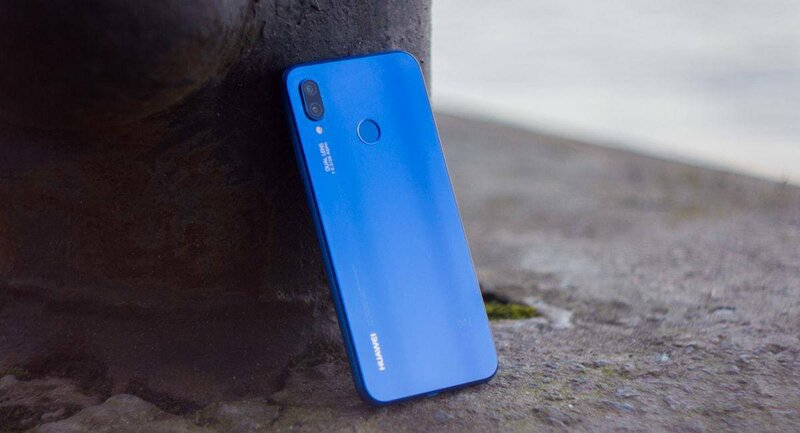 While we eventually came to the conclusion that the quad-camera setup isn’t actually superior to the traditional one, some people can surely take advantage of that one extra sensor. With that being said, at the moment, Huawei is Samsung’s biggest competitor. It removed Apple from the second place and it seems like its completely intending to stay there. So, at the end of the day, it wouldn’t surprise us if they actually decide to push the boundaries even further. That’s precisely what the latest rumors around the web are saying. 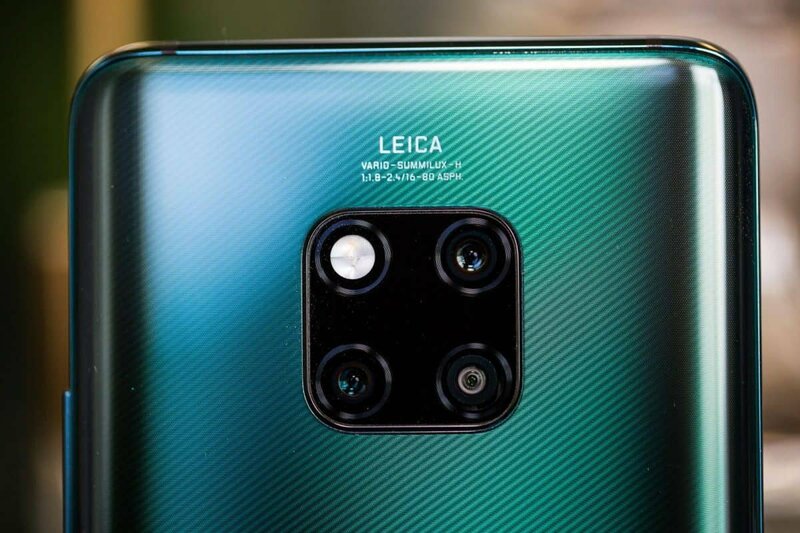 Huawei is apparently planning to create a phone with a quad-camera setup that offers 10x optical zoom. Other than that, there are also mentions of a foldable phone. That would most certainly explain the behavior of Samsung with their foldable phone design. 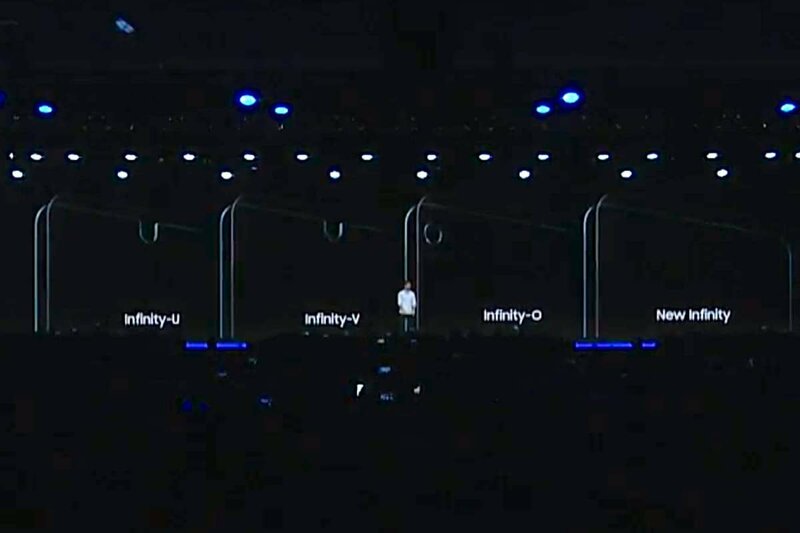 If you haven’t watched it already, Samsung briefly showcased how their foldable phone folds and unfolds. But, they placed it inside a case and turned off the lights to hide its design. With all of that being said, do take this information with a bucket of salt. After all, as we’ve mentioned before, rumors and leaks are not always reliable. 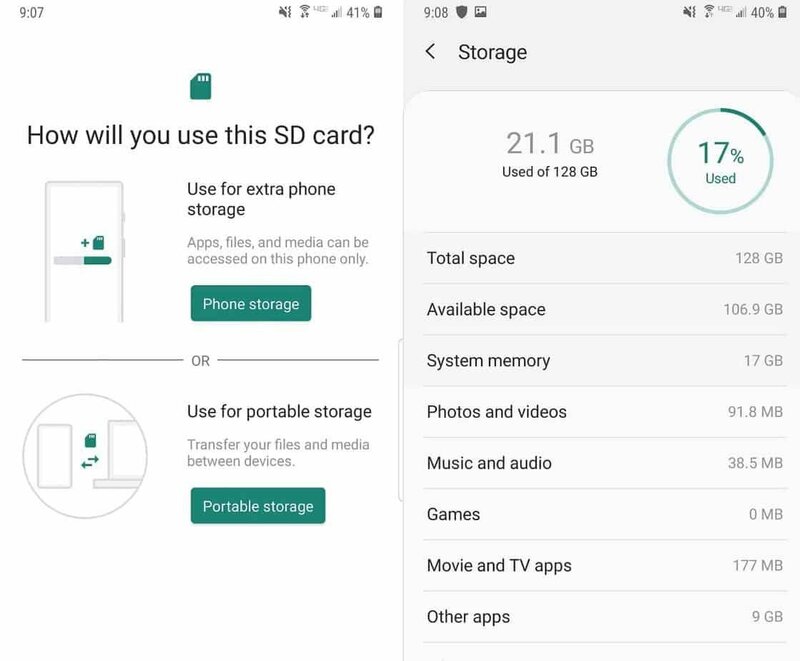 If you’ve been using Android smartphones for a while now, then you probably remember how we once had the choice of using our SD card as the phone’s internal storage. We generally call this adoptable storage. Haven’t heard of it? Well, basically, this allows you to install apps and record videos on your SD card. It’s almost like you’re replacing your phone’s internal storage with an SD card. After a certain point, manufacturers stopped implementing this feature. It’s been a few years since we last saw a phone that supports adoptable storage. Why did this happen? Honestly, no idea. Maybe it’s because of the fact that if your card gets corrupted, then you lose all of your installed apps. Or maybe it’s because nowadays, most phones have at least 8/16 gigs of internal storage. In any case, rumor has it that Samsung is now planning to bring that feature back. Is it needed? Probably not. As mentioned above, most phones have plenty of space for installing apps. After all, the Galaxy Note 9 offers up to half a terabyte of internal storage. If that’s not enough for you, then we don’t know what is. By the way, if we indeed get this feature back and you’re planning on taking advantage of it, then don’t forget to get at least a Class 10 SD card. You can find out why that’s necessary in cases like these by reading this article.